The perfect gift any time of the year. 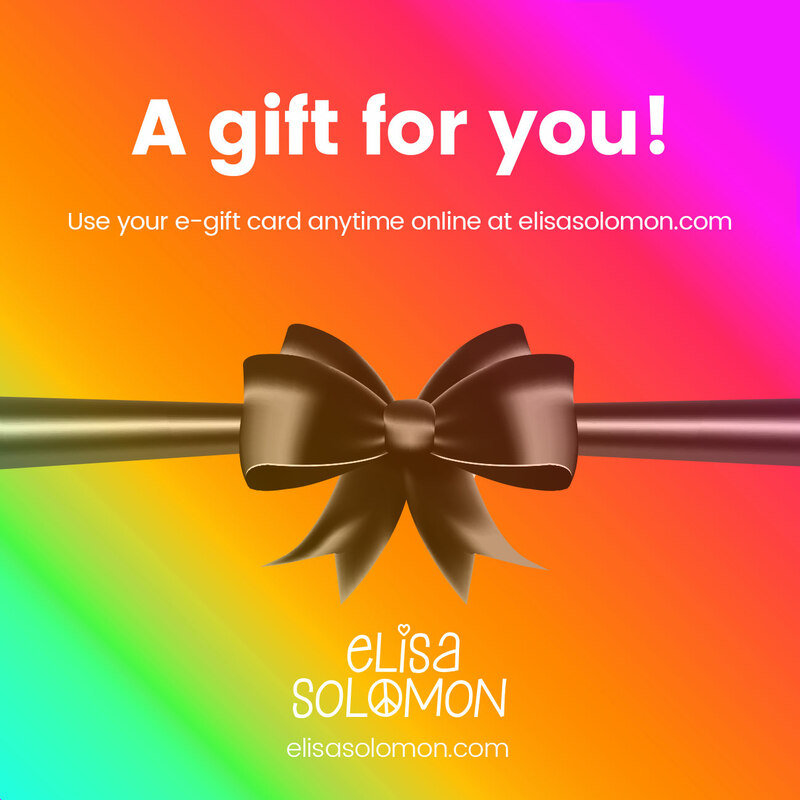 My E-Gift Cards are sent immediately for use on elisasolomon.com or on the date of your choice. For a specific delivery date, make sure to click “Select Delivery Date,” otherwise the E-Gift Card will be sent immediately. The E-Gift Card arrives directly in your recipient’s inbox.